Ellen is a sassy little sasspot of a kitten! She was fostered with four teenagers, three large breed dogs, and five cats who aren't related to her. (Not counting the 4 siblings and mama that she was raised with as well.) Not much fazes her! Ellen adores playing with skitter toys, stick toys, and kids shoelaces. 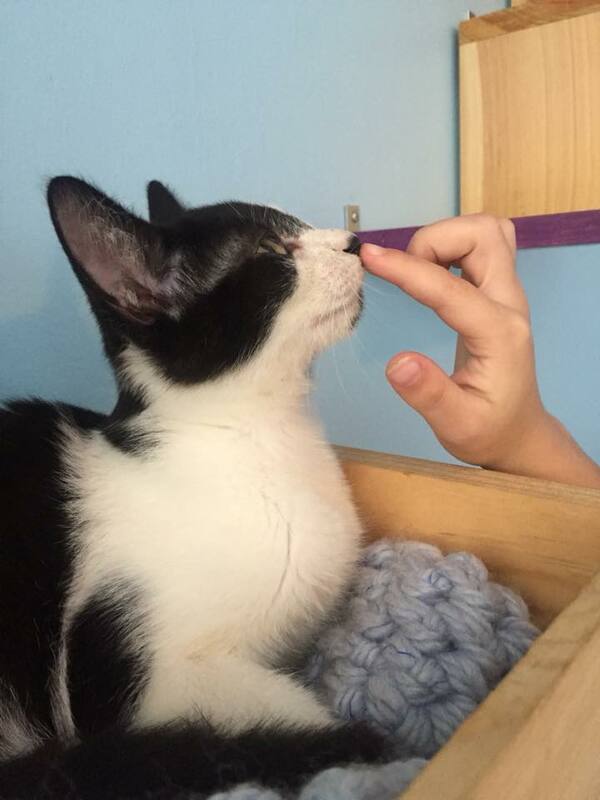 If you are looking for a loving and silly kitten, Ellen is the girl for you!